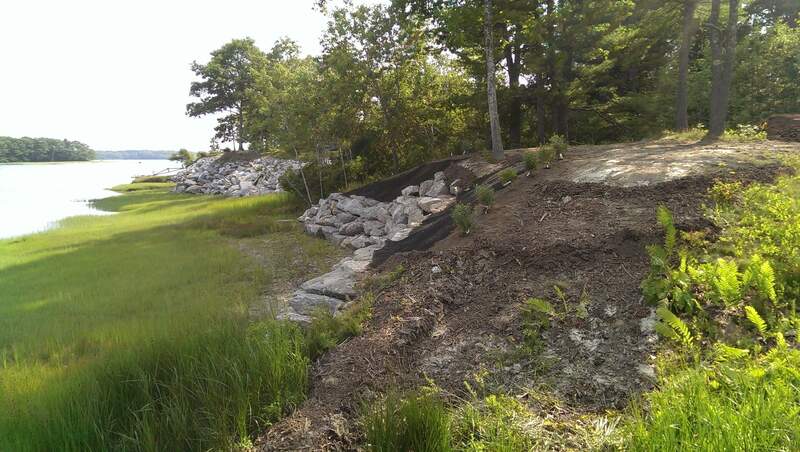 Work Scope A private residence in Freeport, Maine, had been eroding steadily prior to the owner retaining WEA to address their quickly receding shore frontage. 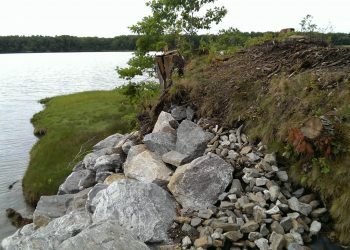 WEA’s analysis determined that wave action during high tide would slowly erode the clay material from the embankment, gradually steepening the shore until failure. 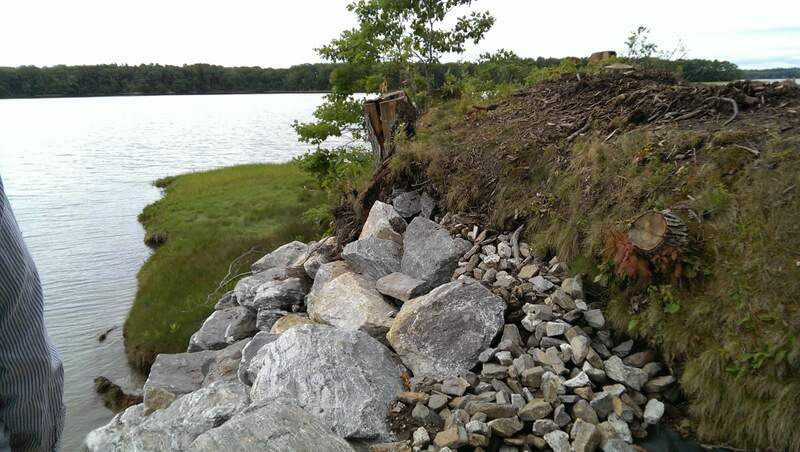 WEA recommended construction of riprap revetment walls at several locations along the frontage where the most significant erosion was occurring. 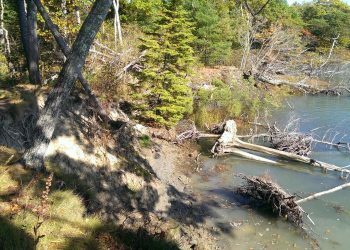 WEA developed an innovative and green approach to use anchored existing tree logs, to minimize erosion in a section which was not going to be stabilized with stone. 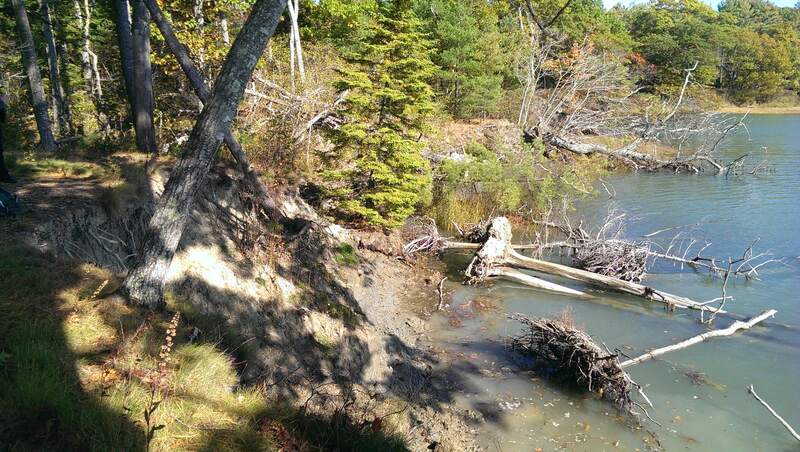 A coir log placed behind the logs was used to inhibit soil movement and allow for vegetation to take hold. WEA provided engineering design, permitting, and construction administration services. 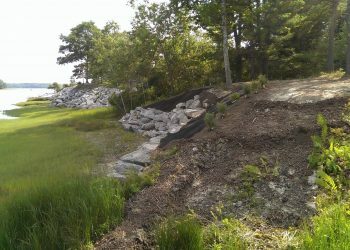 WEA also prepared and obtained local (Town of Freeport Shoreland and Building), state (Maine DEP Natural Resources Protection Act Tier III), and federal (Army Corps of Engineers Review) permits.